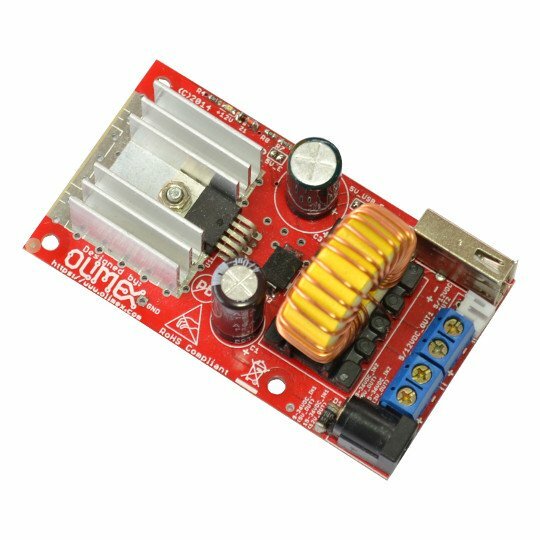 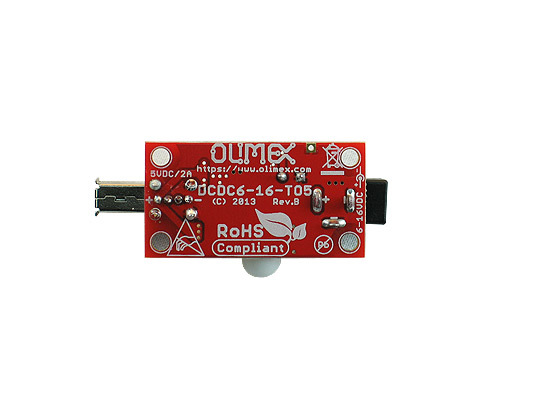 Allows your boards that are typically powered by a 5V power source (Raspberry Pi, A20-OLinuXino-LIME, BeagleBone, etc) to get powered by an adapter that provides between 6V and 16V DC. 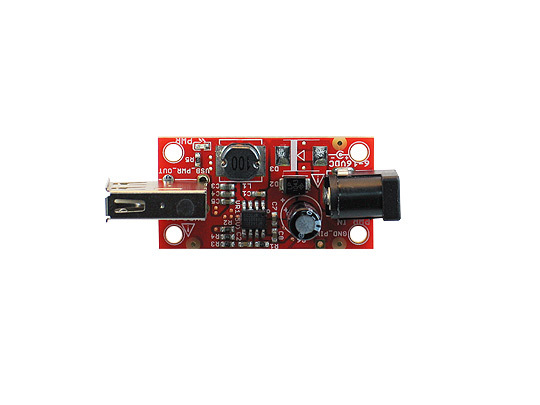 Very convenient solution if you want to use your 5V boards in a car - the DCDC6-16-TO5 will transform the 12V input to 5V/2A output. 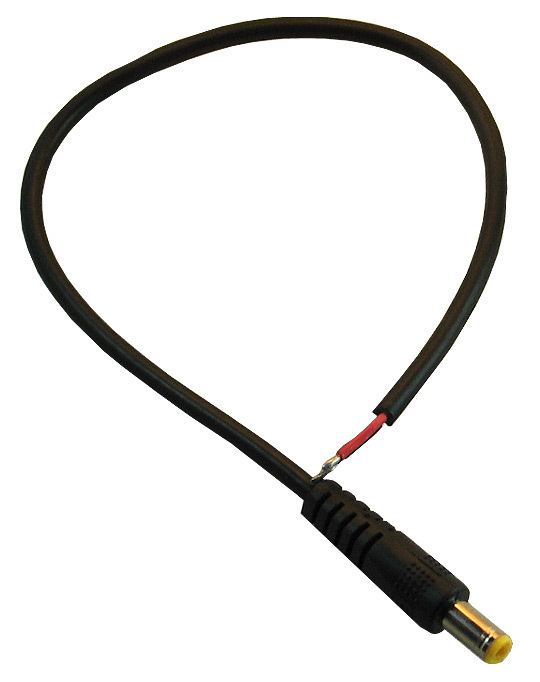 The input connector is a standard power jack which can be paired with Olimex PWR-CABLE. 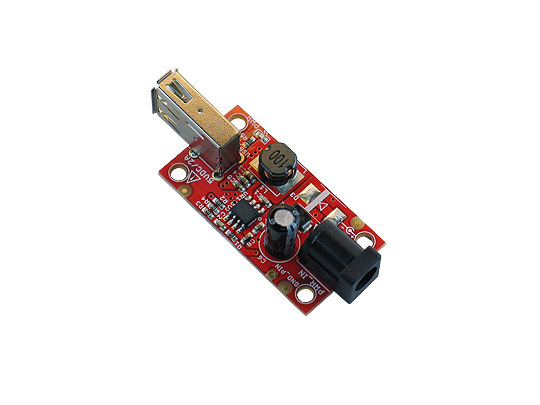 The output connector is USB typeA host which you can establish hardware connection to your board via an USB-A mini cable.